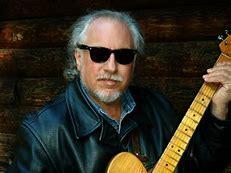 Ben Levin's playing the National Underground Railroad Freedom Center with his trio and the great blues guitarist Bob Margolin on June 1st. King Records session drummer Philip Paul will also be performing the evening of June 1st at the Freedom Center. Ben came into WVXU's Corbett Studio on March 26th, 2018, and spoke with Ron Esposito about his career and played two songs. One of the songs was "Cincinnati Stomp" written by Big Joe Duskin, and the other song he performed in the studio was "After Hours" which has a noteworthy backstory related to Bob Margolin and Muddy Waters. 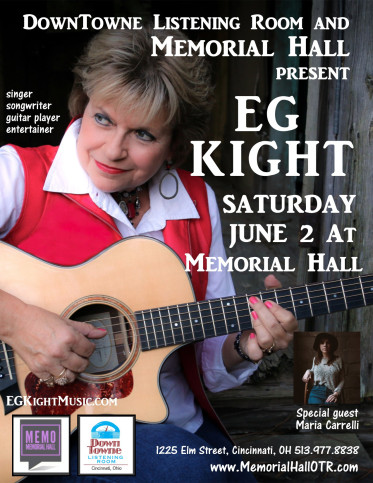 EG Kight spoke by phone with Elaine Diehl on May 16th about her career, recent accident, and upcoming concert at Memorial Hall on June 2nd. You'll also hear an interview I did with Alligator-recording artist Marcia Ball on May 8th. She'll be on stage at the Woodward Theater in Over the Rhine on May 29th and will be performing songs from her latest album, Shine Bright. During the interview she discusses this new release as well as her recent performance at the New Orleans Jazz & Heritage Festival. Ricky Nye and Chris Douglas will be opening for her at the Woodward. Marcia Ball speaks with Lee Hay by phone on 5/8/18. And ending this blues show, two songs from artists who'll be on stage at the PNC Pavilion on August 25th as part of Trombone Shorty's Voodoo Threauxdown tour...Trombone Shorty & Galactic.